Robotic surgery is a surgical technique in which a robotic system is used to perform a surgery. Also called computer-assisted surgery, the use of robotics allows surgeons to perform more complex procedures with greater flexibility and precision. Robotics has overcome many of the limitations of laparoscopic procedures, which means surgeons who perform robotics-assisted surgeries can treat a great number of people with the benefits of minimally-invasive surgery. 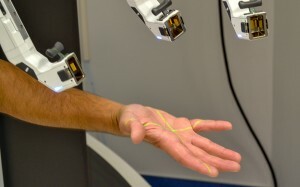 In robotics-assisted surgery, three or four arms, including a camera arm, are placed inside the body, and the surgeon remotely controls the tools to perform the surgery. While the patient is surrounded by a surgical team, the surgeon looks at a camera image from inside the body and uses the robotic arms are extensions of his own to perform complex and delicate procedures. Sometimes there is confusion about the use of robotics in surgery and whether the surgeon or the robot is performing surgery on a patient. Robotic systems are tools that assists a surgeon in performing surgeries. The robot becomes an extension of the surgeon to enable him or her to perform the surgery. Because computer-assisted surgeries allow surgeons to manipulate surgical instruments much like the human hand, but more smoothly and precisely, the surgeon can perform minimally-invasive surgeries in a great number of cases for a wider range of people. 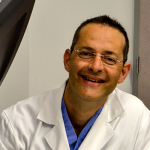 What should patients expect during robotic-assisted surgery? Patients often ask whether the surgeon will be in the same room during the surgery. The answer is yes. Dr. Buzad remains in the operating room and oversees the surgery. After scrubbing in, he will begin the procedure by making the incisions and working with his surgical team to prepare the area and place the ports where the robotic arms will be attached. Next, the Da Vinci cart is rolled to the patient’s bedside and the arms are attached to the ports. 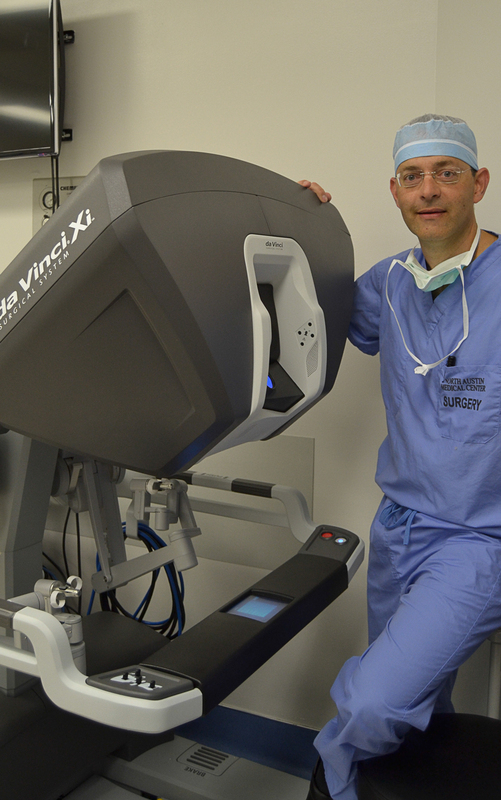 The surgeon then walks to the Da Vinci console — located just a few feet from the patient. 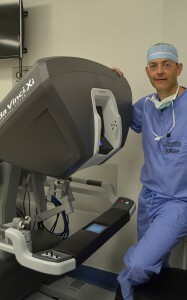 The console is where Dr. Buzad controls the robotic arms and can see a 3D image of the inside of the body. After completing work at the console, the surgeon returns to the patient’s bedside and finishes the procedure. The arms and ports are removed and the incisions are closed.